Nobody Owens, known as Bod, is a normal boy. He would be "completely" normal if he didn't live in a graveyard, being raised by ghosts, with a guardian who belongs to neither the world of the living nor the dead. 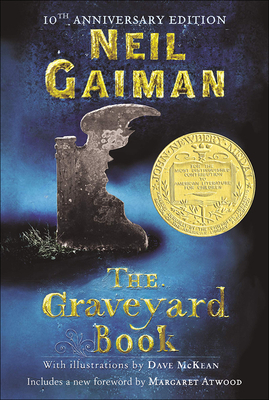 There are adventures in the graveyard for a boy--an ancient Indigo Man, a gateway to the abandoned city of ghouls, the strange and terrible Sleer. But if Bod leaves the graveyard, he will be in danger from the man Jack--who has already killed Bod's family.